Bad Fortune Cookie: How Happy am I??? This morning did not start off on a promising note - I get up, stumble in to fix breakfast, and realize that we have no milk. No milk = no cereal for Schecky's b'fast, and the kid is a cereal hound! So off for an early morning Publix run. Sigh. 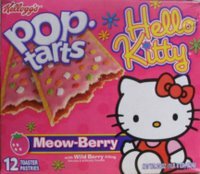 As I am cutting down the cereal aisle, taking a short-cut to Dairy, I spot something new: Hello Kitty PopTarts! Of course, I have to try them. 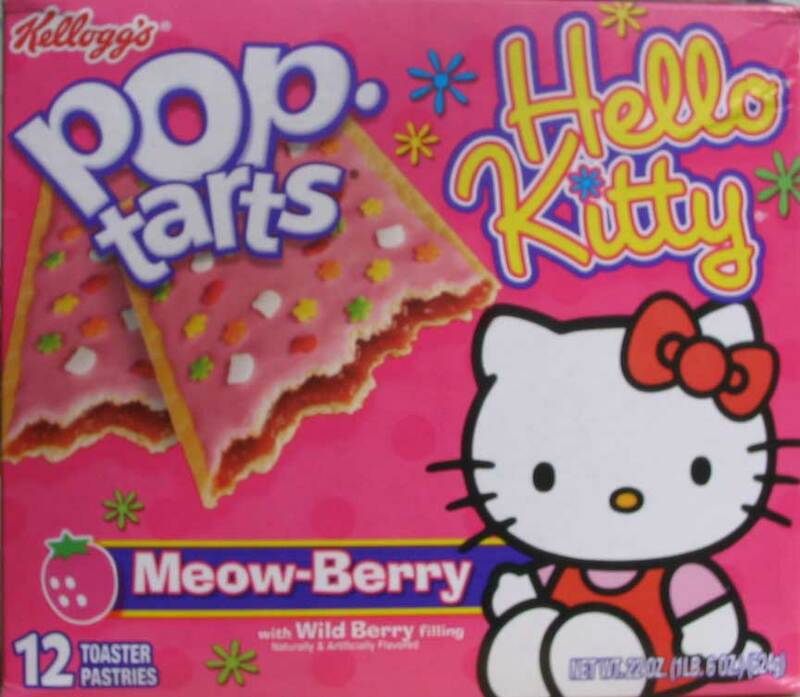 Later note: Just FYI, the taste of these is just OK. Meow-berry is just some random, unidentifiable fruit-ish flavor. 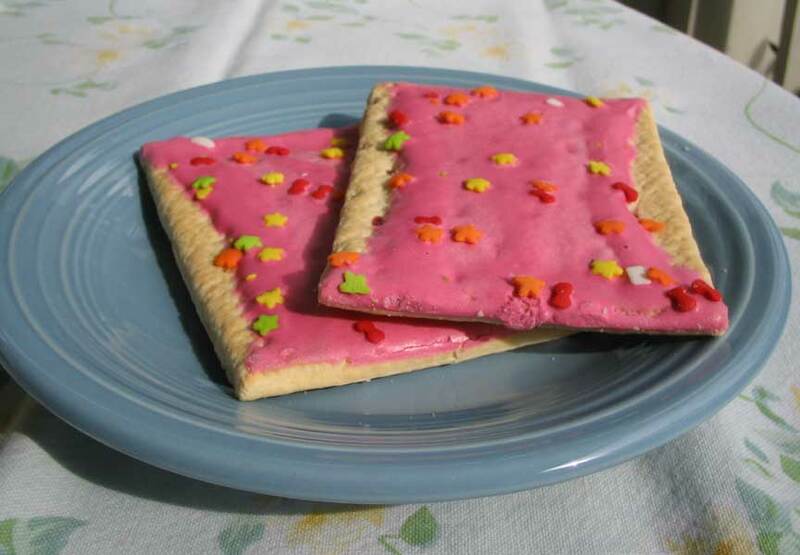 Of course, the only PopTart flavor that I genuinely like is the BrownSugar ones. You know, the ones no one likes, and that you see on the shelf and thinks "who buys those?" Well, me. But look at how happy the neon pink Tarts look on my baby blue plate. Good morning, sunshine! I hope you still have the box. It would make a cute cover for a mini-notebook for the school supply junkie I suspect lives within you.